Spend a sensational summer vacation helping rangers run Pinecreek Hills National Park. It’s Conservation Challenge year and Pinecreek’s better than ever before. Fly the helicopter, ride the airboat, and feed deer. See the 1800’s Town & Gold Mine, Arrowhead Scout Camp, Pinecreek’s National Wildlife Preserve & Sanctuary, Nature Field Station etc.. Explore stunning waterfalls, enchanted caves and other gorgeous outdoor locations. Enjoy beautiful scenery, have Campfires, go Night Prowling, see Pinecreek’s historic chapel and Buffalo Point. 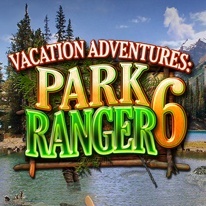 Play great hidden object levels & puzzles, spot 100’s of animals, birds, fish and other wildlife. Protect the environment and get Souvenirs and Awards along the way.